This is what Zachary looked like when he woke up from his nap today. No joke. 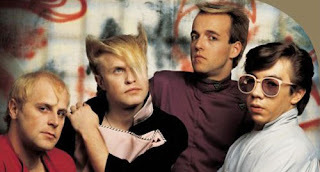 The one-hit wonder special we watched yesterday had Flock of Seagulls and their hit "I Ran (So Far Away)". It must have really sunk in!